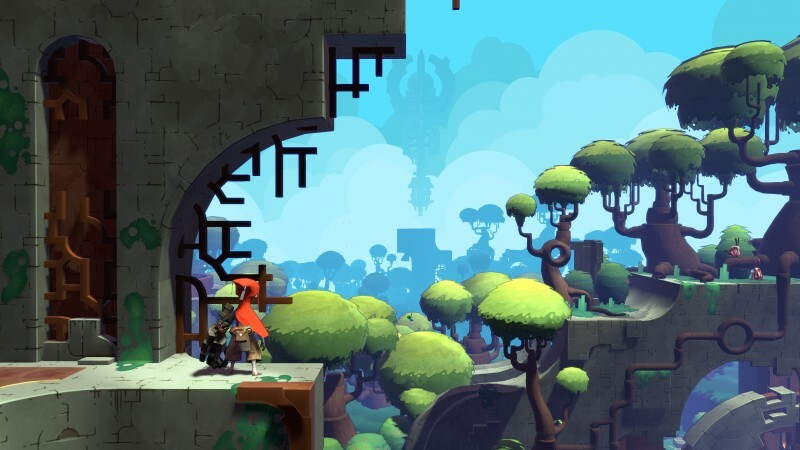 Today at PAX East, it was announced that popular porting company Panic Button is porting Hob, the action-adventure game from Runic Games. In addition, Panic Button is also porting Torchlight II, also from Runic Games, to unspecified consoles also in the future. Hob is already available on PlayStation 4 and PC, but the newly dubbed Hob: The Definitive Edition is a Switch exclusive. This includes touch-screen controls, a revamped interface, quality-of-life improvements, HD rumble, and more. This version launches digitally on the Switch eShop on April 4. Similarly, Panic Button is also porting Torchlight II, but it was not announced which consoles it would be coming to. The omission is strange, seeing as how Panic Button is considered the studio to port games to Switch, having worked on all the Bethesda ports, Warframe, and now Hob. The lack of a target system makes it sound like it’s probably coming to everything, however, as soon as they’re willing to just announce that. Runic Games itself as a studio was shut down last year by parent company Perfect Worlds.